You've spent time searching for the perfect invitation, and now it's time to print! Everyone loves receiving party invites via snail mail, so thank you for keeping the tradition alive! 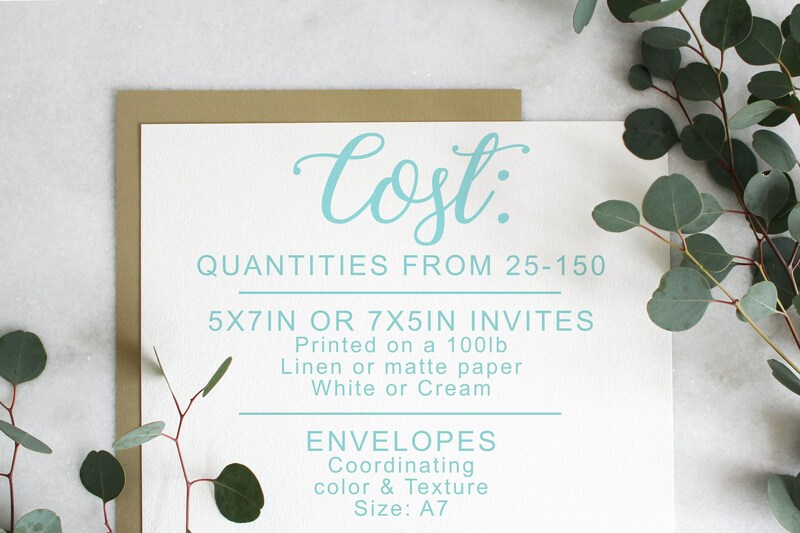 This listing is for a printing services only. This cover the hard costs of paper, ink and envelopes.